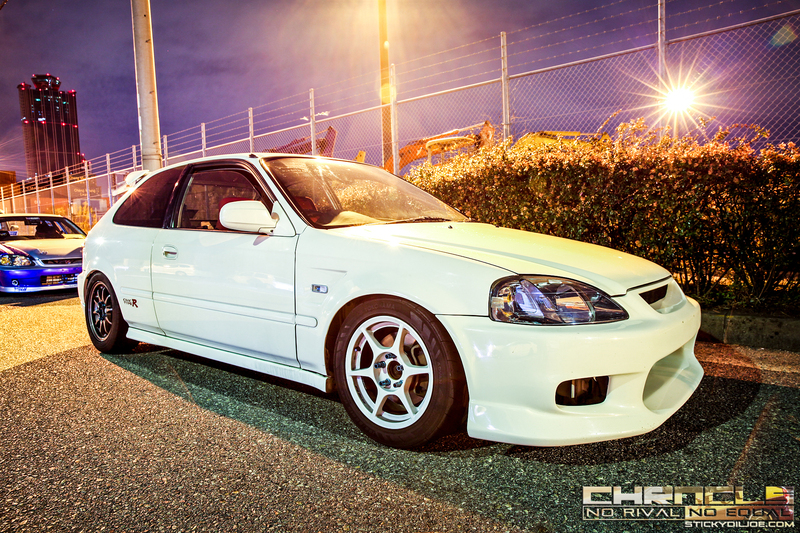 As you will witness in the video, the Honda Civics that enjoy the afterhours of Osaka, Japan are all very different aesthetically. Even cars from the same car club rarely look alike. 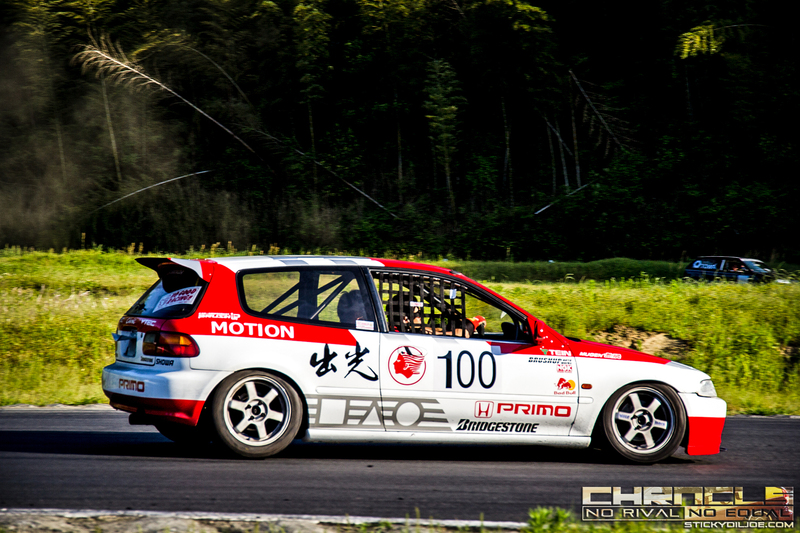 The graphical liveries that are used on these Hondas are inspired by the old school one-make Honda races of yesteryear. They are themed to look like race cars and also were once utilized to deter local authorities. Many would often change their schemes (sometimes nightly) as to make their cars unrecognizable to the police. They would often get chased on the roadway and would then come out the following night as an almost entirely new car! As time went on many different approaches to appearance developed and now you’ll see Civics that are won’t even have any graphics at all cruising with a group that utilizes some of the most eye-catching colorways that you’ll ever see on a public road. While some are incredibly wild-looking with their graphical designs, some Civics, like this EK9 Civic Type R from LAW BREAK, runs the Loop without any graphical livery at all. If you compared this Honda to some of the more traditionally-styled Kanjozoku, you wouldn’t even think this was a Loop runner. 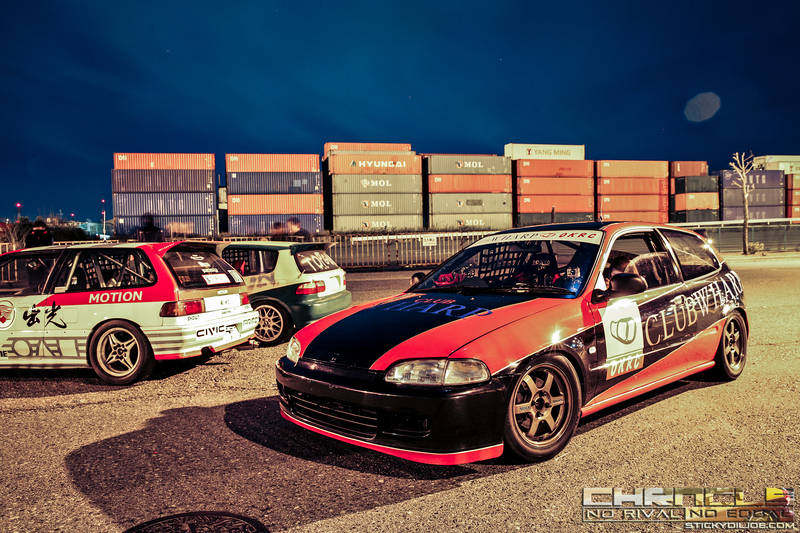 This EG6 Civic bears a scheme that is nearly identical to the Idemitsu Motion Group-A Civic race cars from the 80s.